It is with great sadness that our Galen Catholic Community mourns the death of Year 9 student, Ben Northey, who passed away on Wednesday evening (16/8/2017). Galen is a tight knit community and the loss of a student is felt deeply by all. Our hearts go out to the family and they are in the thoughts and prayers of the entire community at this very sad time. We ask you to pray for Ben’s friends and family, especially his brother Jack in Year 12, Jack’s twin sister Alice, older sister Sarah, and cousins attending Galen, Georgina Northey (Year 10), Gus Northey (Year 9), Zac Northey (Year 11), Isobel Northey (past Galen student), Callum Northey (grade 6 student) and friends. We also ask that you take good care of each other as we come to terms with this tragic loss in our community. 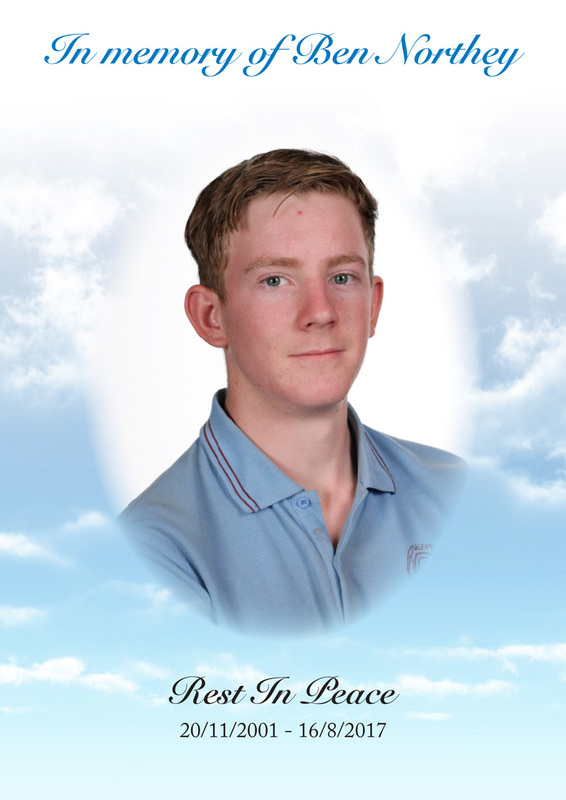 All Galen students were informed of Ben’s passing on Thursday morning in homeroom and students in Year 9 and Year 12 also attended a Prayer Liturgy. Our Chapel and Wellbeing rooms are available to all our students to access as well as Wellbeing staff if they feel the need to speak to someone. We ask that you keep the whole Galen community and in particular Ben’s family in your prayers at this time. May Ben rest in peace.